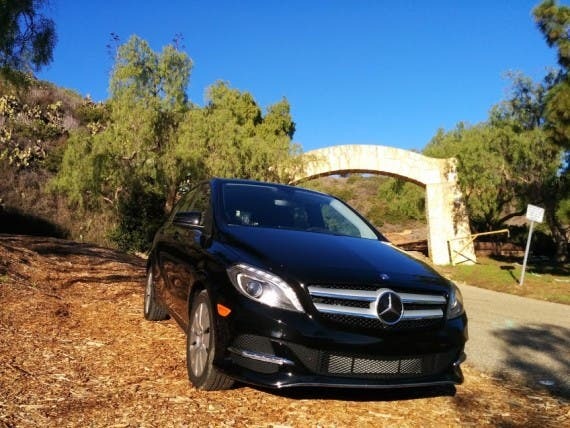 My wife and I bought our 2014 Mercedes B-Class Electric Drive one year ago (on November 6, 2014), and seeing as how I reviewed it early on in our ownership, I wanted to share an update after the first year. As a refresher, we selected the B-Class Electric as a compromise between my wife’s desire for a more luxury-oriented car and my push for an electric car. After reviewing the options inside and out and making every attempt to (unsuccessfully) try to justify a Tesla Model S, our decision was between the Mercedes B-Class Electric and the BMW i3. Ultimately, we opted for the MB because my wife really wanted a car that looked like a normal car, wanted the 5th seat, and didn’t want to have to open the front doors every time the kids needed to get out of the back (which you have to do with the i3’s suicide doors). A year and 9,700 miles later, we are still enjoying the car quite a bit. It works well for our family of 5 and hasn’t really limited our lifestyle. For the first 9 months of ownership, we had a Prius as our second car so we could just take any longer trips in that. In August of this year, I kicked it up a notch and doubled down on EVs by trading in our 2010 Prius for a 2014 Nissan Leaf with quick charging. Saved $1,155 by using electricity as compared to what we would have spent on gasoline. Used an extra 3,441 kWhs of solar-powered electricity to drive. NOT burned 485 gallons of gasoline. Avoided ~50 trips to the gas station. Most of our charging is done at home with the included 110-volt wall charger, as most of our driving is around town with only the occasional trip down to Los Angeles requiring remote charging. We did purchase a Level 2 charger but need a full electrical panel upgrade to use it full time and have found that 110-volt charging speeds get us fully charged almost every night. 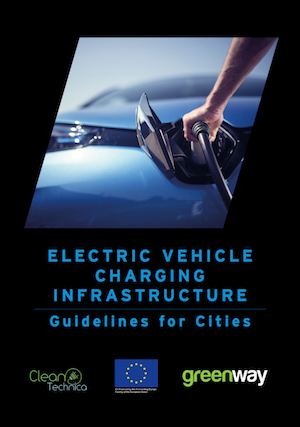 We do stop by and pay to charge at our local chargers here and there – primarily to ensure that they know there are EVs in the area that are willing to pay for charging. The instant torque of the powerful Tesla drivetrain in our B-Class Electric makes it more fun to drive than our old BMW convertible, and the fact that we charge it up with our solar panels* makes the driving mostly guilt free. On top of that, the combination of a quiet electric drive motor and the luxury insulation in the car make the drive superbly quiet, giving the impression that we are flying or floating along the road vs that driving thing we used to do. In my opinion, the Mercedes B-Class Electric Drive was a great value for the money and really delivers a (small) premium car with a premium (Tesla) EV drivetrain. *Solar panels on the roof of our house offset all kWh used through net metering, not by directly charging the car. We are enjoying the car overall but there are a few things that I wish were different. First, the car is not very efficient, getting only 2.8 miles/kWh, or roughly 79 MPGe. This means that we use more kWhs to drive than most other EVs would use, which typically average over 100 MPGe. What’s not as obvious is that this also results in fewer miles per charge… which is a net slower charging rate. This doesn’t impact us most days, as we are just charging at home overnight, but when we’re out and about, it adds 50% to our charging time vs the Leaf. Quick real-life example – we went down to Santa Monica for the day, which is ~60 miles from our house (bringing remaining range to 24 miles). To get home, we needed to add ~45 miles of range while charging in Santa Monica in order to get home. At a standard Level 2 charging rate of 6.6 kW/h, we add 18.5 miles of range per hour in the Mercedes (6.6 kW/h times 2.8 mi/kWh). 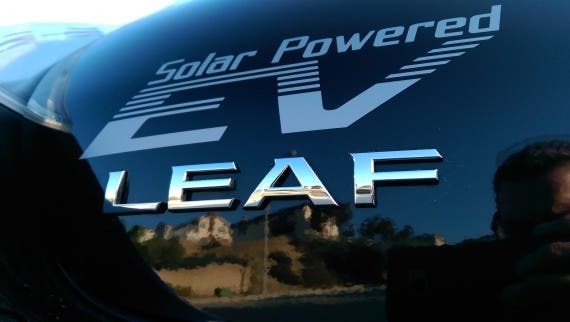 In the Leaf, we would have added 28.4 miles of range per hour (6.6 kW/h x 4.3 mi/kWh). This translates into a real-world charge time of 2.4 hours (45 miles; 18.5 miles/hr) for the Mercedes vs 1.6 hours for the Leaf – 50% slower/longer. That seems like a rather weak excuse not to add something that improves the functionality of the car as much as a quick charge port does. Being able to get up to 80% charge in just 30 minutes is something we do use, albeit infrequently, in our Nissan Leaf, and it would have been nice to have it on the B-Class Electric as well. Possibly the biggest statement about how much we have enjoyed the Mercedes B-Class and how little it really changed our habits was back in August when I traded in our Prius for a Nissan Leaf. It was a great deal and cost very little out of pocket but I went into our second EV purchase knowing roughly what to expect. I made sure we had quick charging, to allow for faster recharge times on longer range trips to Los Angeles or Santa Barbara, but ultimately, driving a range-limited EV is a minor inconvenience we were willing to accept. We have enjoyed driving the B-Class Electric, saving money, and most importantly for us, not using gas.